Kunutsor noted that the study is observational, and does not show a cause-and-effect relationship between sauna use and lower stroke risk. It only shows an association. A limitation of the study was that the study was based on traditional Finnish saunas and the results cannot be applied to other types of heat therapy such as infrared heat exposure, steam rooms and hot tubs. Kunutsor also said that since only a few people in the study never took saunas, the researchers could not compare people who used saunas to people who never used saunas. More information: 'Sauna bathing reduces the risk of stroke in Finnish men and women: A prospective cohort study' by Kunutsor, Setor; Khan, Hassan; Zaccardi, Francesco ; Laukkanen, Tanjaniina; Willeit, Peter; Laukkanen, Jari A. Neurology, 2018. Otherwise you'd have missed the essential ingredient. It's important to pay attention the the end of the article, which states this study "cannot be applied to other types of heat therapy such as infrared heat exposure". This is also the case with "infrared saunas", which are not actually saunas in the first place. Infrared enclosures will never provide the same environment as a true, traditional sauna, and can not claim any of the same health benefits (or studies). In fact, some infrared enclosures have been recalled due to posing a fire hazard with faulty wiring, and the possibility of toxic fumes from interior finishes that should have never been used. 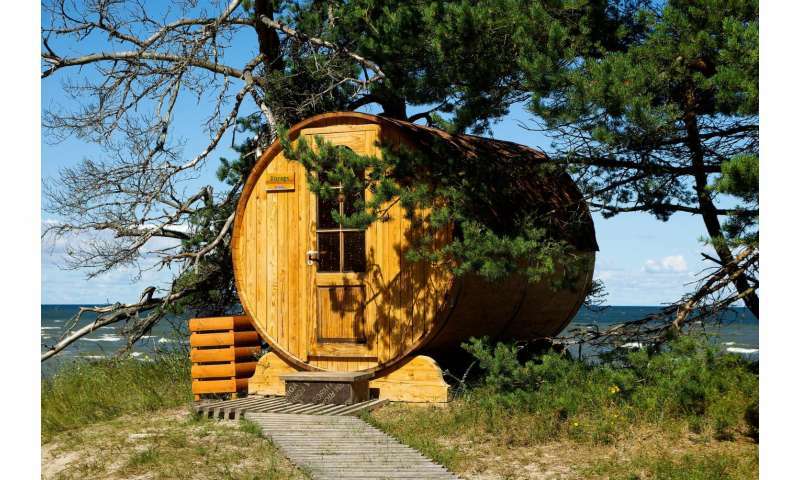 Traditional sauna bathing has many time tested health benefits, and studies are continually coming out proposing even more. The same is not true for phony "infrared saunas".